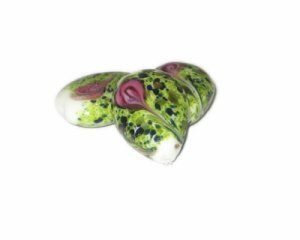 These are 24 x 18mm White Floral Pattern Handmade Lampwork Glass Bead, 3 beads. I just love Dollar Bead!! Great quality and selection for unbelievable prices! Shop here first...you won't be disappointed! !